The American Civil Liberties Union and other left-wing civil liberties groups defend Chelsea Manning and other whistleblowers, but have remained silent about an FBI raid on a reportedly protected whistleblower. The Daily Caller News Foundation sought comment from a variety of organizations and advocates that defend whistleblowers following the raid. While conservatives and moderates responded, most of the liberal groups, including the ACLU, the National Lawyers Guild and the Center for Constitutional Rights, did not. Sixteen FBI agents raided Cain’s home for six hours on Nov. 19, despite that Cain, a former employee of an FBI contractor, was a protected whistleblower under the Intelligence Community Whistleblower Protection Act, according to his attorney, Michael Socarras. Cain possessed documents that showed federal officials failed to investigate potential criminal activity regarding the former Secretary of State Hillary Clinton, the Clinton Foundation, and Uranium One, according to Socarras. 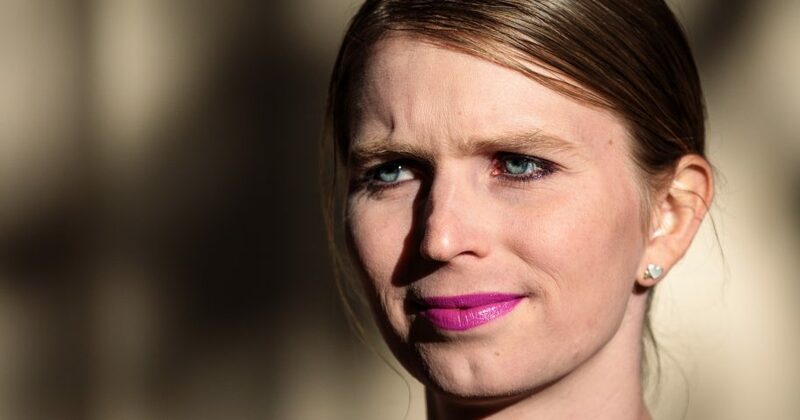 The three liberal organizations have voiced support for whistleblowers, including Manning, a former Army intelligence analyst who was convicted by court martial under the Espionage Act in 2013 after giving 750,000 classified and unclassified government documents to WikiLeaks. Conversely, Cain provided his documents to the Justice Department Inspector General, and they have not been published, according to Socarras. Manning, who was known as Bradley before transitioning to a woman, was sentenced to 35 years in prison, but then-President Barack Obama commuted his sentence. “The ACLU continues to play a central role in the courts and Congress in … defending the ability of whistleblowers to reveal information about government wrongdoing,” the ACLU states on its website. Do you think the ACLU is hypocritical? The ACLU also defended former NSA contractor Edward Snowden, who, according to the NSA, stole as many as 1.7 million from the spy agency. He now lives in Russia under asylum. “We represent National Security Agency surveillance whistleblower Edward Snowden,” the ACLU statedon its website. Public Citizen, a liberal advocacy group founded by Ralph Nader, however, did denounce the FBI raid on Cain’s residence. “Well it certainly sounds like an absolute violation of the spirit of what the whistleblower law is supposed to be all about,” a lobbyist for the group, Craig Holman, previously told TheDCNF. Holman didn’t know why the other liberal groups wouldn’t express support for Cain. Cain has continued to show his love for America. “I also want to pray for the many dedicated and loyal patriots that still work for the FBI not to be discouraged, as they do incredibly important work to take real bad guys off the street,” the whistleblower tweeted on Dec. 1. ..I also want to pray for the many dedicated and loyal patriots that still work for the FBI not to be discouraged, as they do incredibly important work to take real bad guys off the street. In an organization as big as the FBI there are bound to be problems that need fixing. Editors Note: Richard Pollock was previously represented by the Center for Constitutional Rights in a landmark lawsuit challenging the constitutionality of the FBI’s COINTELPRO program, where the bureau spied on political activists. The Supreme Court upheld the verdict against the FBI. The ACLU was involved in the trial stage of the case.